Patients who live in Philadelphia, PA and are ready to address misalignment in their smile may hesitate as they feel traditional braces are the only way to achieve results. Metal brackets and wires covering the smile can be an extreme turnoff for patients who are social and want to look their best at all times. Thankfully, many patients in the area who visit David Spilkia Family and Cosmetic Dentistry to ask about orthodontic treatment are candidates for services such as Invisalign. Dr. David Spilkia offers Invisalign which is also referred to as aligner tray therapy. Invisalign eliminates the need for metal brackets and wires and instead realigns the teeth with the use of clear aligner trays. At David Spilkia Family and Cosmetic Dentistry, patients will determine if they are a good candidate for treatment. 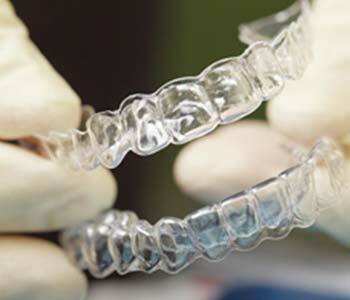 Invisalign can be used for mild or moderate misalignment of the bite or dental arch, and can address bite concerns including overbites, underbites, and cross bites. Patients can determine candidacy during an evaluation appointment. Candidacy is often limited to patients who do not have severe bite or arch misalignment. These patients may still be better suited for traditional orthodontia. Interested in learning more about Invisalign treatment? Philadelphia, PA area patients who are ready to discuss Invisalign as an option for their smile with a dedicated dental professional are welcome to connect with David Spilkia Family and Cosmetic Dentistry. Our staff provides the answers patients need to decide if this is right for them! Call (267) 463-2777 or visit personally at our office located at 7052-56 Frankford Avenue. We welcome new and existing patients into our state-of-the-art dental practice.